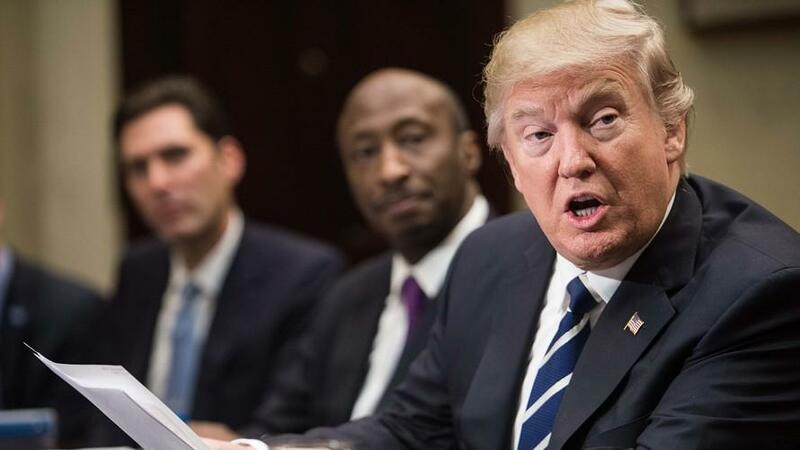 President Trump is expected to outline a "comprehensive" plan to tackle drug affordability in a major address on prescription drug prices at 2 p.m. today. In a Thursday night call with reporters, senior administration officials offered a preview of today's "American Patients First" blueprint, outlining their general strategies. "... aim to increase competition by ending ‘the gaming of rules’ by brand-name drug manufacturers that stymies the introduction of cost-saving generic and biosimilar drugs. Lobbyists and industry insiders think Trump will take particular aim at middlemen known as "pharmacy benefit managers" (PBMs) - who negotiate drug coverages, payments and rebates between insurers and drug makers. Trump is expected to knock "unfair" practices by other countries which negotiate their drug prices. “Right now it’s very unfair what other countries are doing to us,” Trump remarked at a meeting with pharmaceutical executives in late January, accusing countries of "global freeloading," and saying that it's "very, very unfair" that the U.S. pays so much more for drugs. White House Domestic Policy Council's Katy Talento noted on Wednesday at an Independent Women's Forum discussion that there's "no ox that won't be gored" in today's 2 p.m. address. “This is a fearless president and he doesn't know or care why things have always been done…It's not like your typical Republican authorizing committee that protects this model that they helped write for decades,” said Talento. Health and Human Services Secretary Alex Azar said that Trump will go into ideas beyond what he laid out to congress during his budget request earlier in the year. “These include the high list prices set by manufacturers; seniors and government programs overpaying for drugs due to lack of the latest negotiating tools; rising out of pocket costs for consumers; and foreign governments free-riding off of American investment in innovation." Azar told a Senate panel on Thursday that Trump's remarks would also address the fact that US drug manufacturers spend a disproportionate amount on developing new groundbreaking treatments which foreign governments can then take advantage of. “The competitive marketplace is acting to constrain overall cost growth,” Steve Ubl, president of the Pharmaceutical Research and Manufacturers of America, told reporters last week. Congressional Democrats led by Reps. Lloyd Doggett (D-TX), Peter Welch (D-VT) and Elijah Cummings (D-MD) laid out their own set of ideas they'd like to see implemented on Wednesday - insisting their ideas must be included in any "meaningful proposal" to lower drug prices. Dems also expressed doubt that Azar would actually crack down on the drug industry due to his previous work at Eli Lilly. “There is no shred of evidence that tomorrow’s announcement will lead to one price decrease by Secretary Azar’s former colleagues in the pharmaceutical industry,” said Senate Finance ranking member Ron Wyden (D-Ore.). What's more, Trump's detractors have dinged him over campaign rhetoric that the federal government should be able to negotiate lower drug prices directly with Medicare prescription drug plans. Watch how Trump will walk at 2PM today.